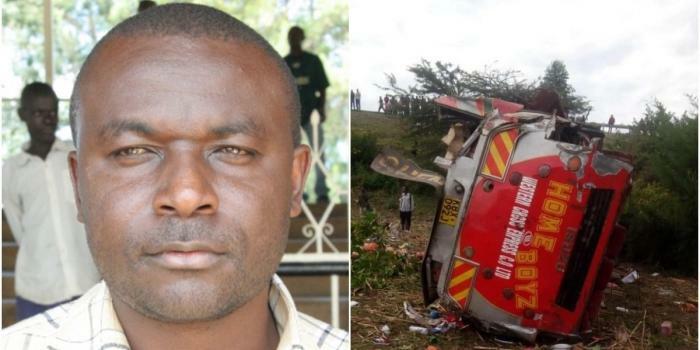 Saturday October 13, 2018-Cleophas Shimanyula, the owner of the killer bus that crashed in Fort Ternan killing 58 people, is a shrewd businessman with links to top politicians in Western Kenya. Besides, owning a fleet of passenger buses, Shimanyula owns powerful high-end vehicles with which he has revolutionised the car hire services in Kakamega. Among his popular clients are Amani National Congress (ANC) leader Musalia Mudavadi, former presidential candidate Cyrus Jirongo and Kakamega Governor Wycliffe Oparanya. Jirongo hired Shimanyula’s fleet of Prados for his campaign and also sought his influence to gather supporters. When he ran for the presidency in 2013, Musalia Mudavadi also leased vehicles from Shimanyalu. On his part, Oparanya enjoys special connections with Shimanyula as he is said to have funded his campaigns every other day. Besides, he has connections with other Western Kenya politicians as well.